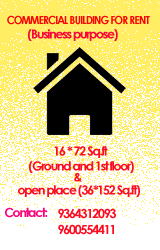 Show Room 1: 498-499, Gandhi Road, Kancheepuram - 631501. Show Room 1: 107, Gandhi Road, Kancheepuram - 631501. 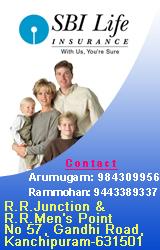 Show Room : No.313, (Old No.207), Gandhi Road, (Opp.Theradi), Kancheepuram - 631501. 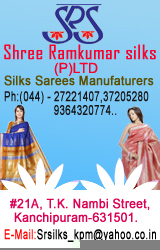 Show Room : No.133/86 A&B Gandhi Road, Kancheepuram - 631501. 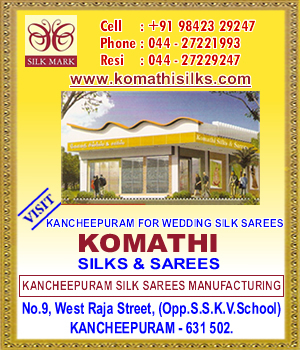 Show Room : No.79, Gandhi Road, Kancheepuram - 631501. 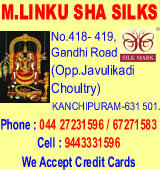 Show Room : No.437, Gandhi Road, Kancheepuram - 631501. 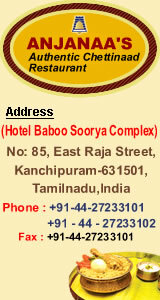 Head Office No.88-89, Gandhi Road, Kanchipuram - 631501. Our Show Room in Loom World No.11, No.72, Vallal Pachaiyappan Street, Kanchipuram - 631501. Loom World Chennai, Erode, Dharmapuri. Tamil Nadu Madurai, salem, Villupuram, Dharmapuri, Karaikudi.